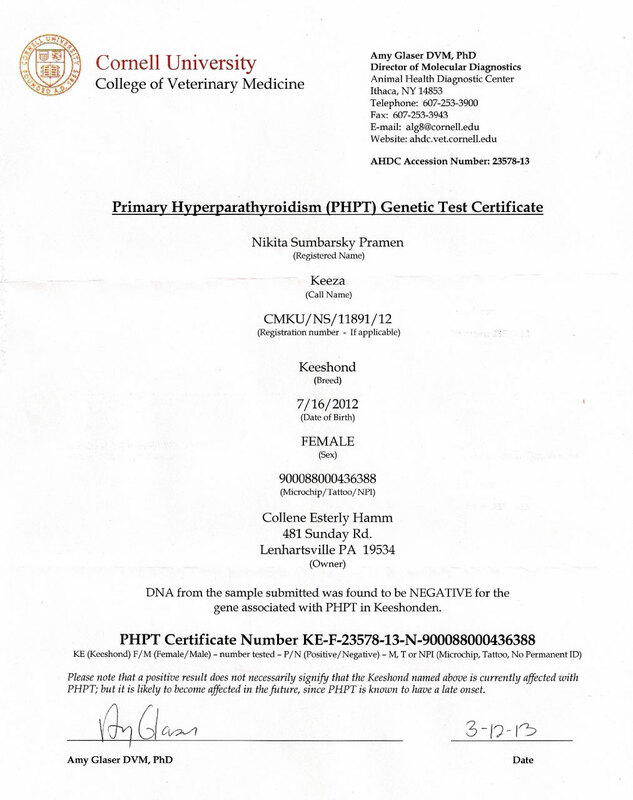 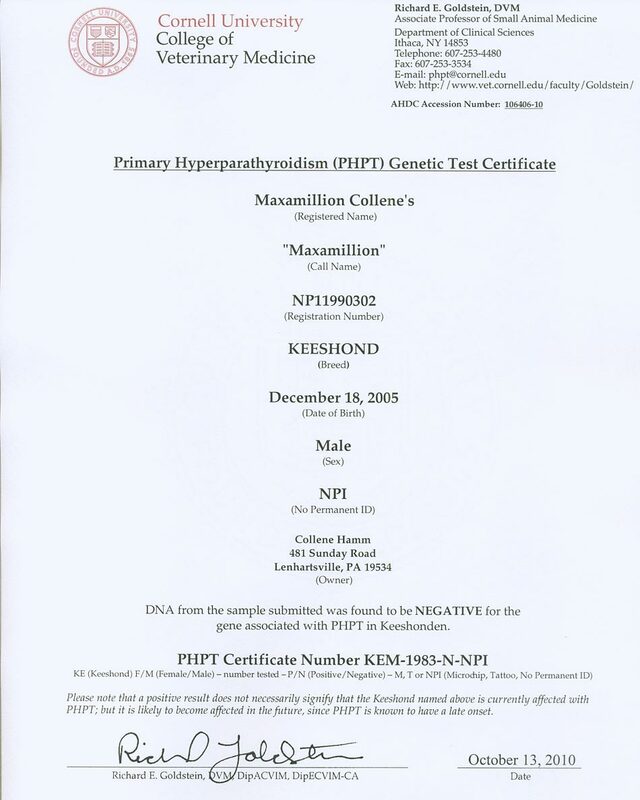 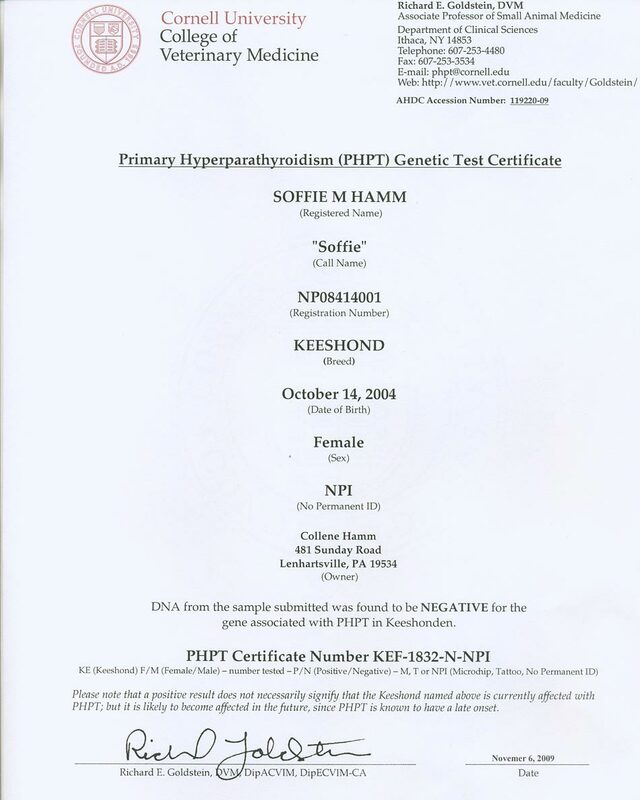 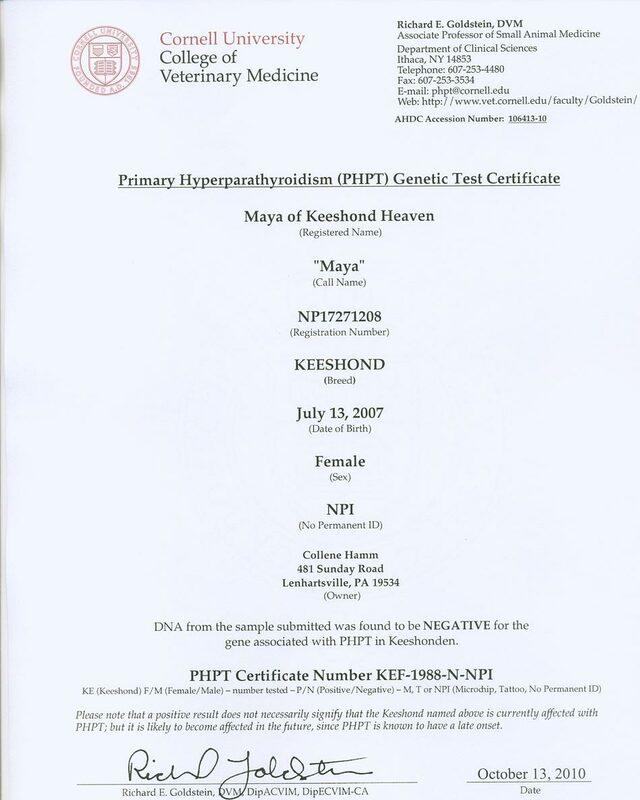 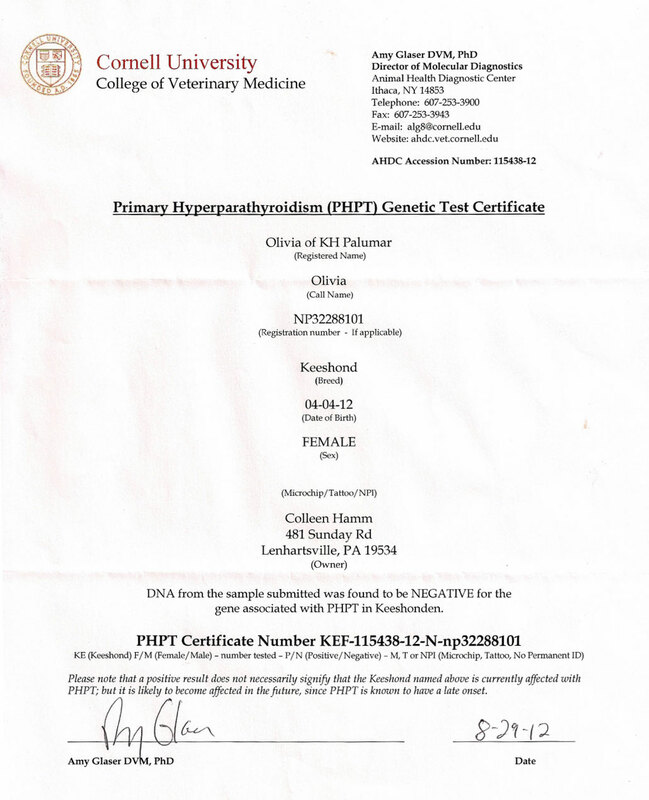 Primary Hyperparathyroidism (PHPT) is a condition that commonly affects the Keeshond Breed of dog. 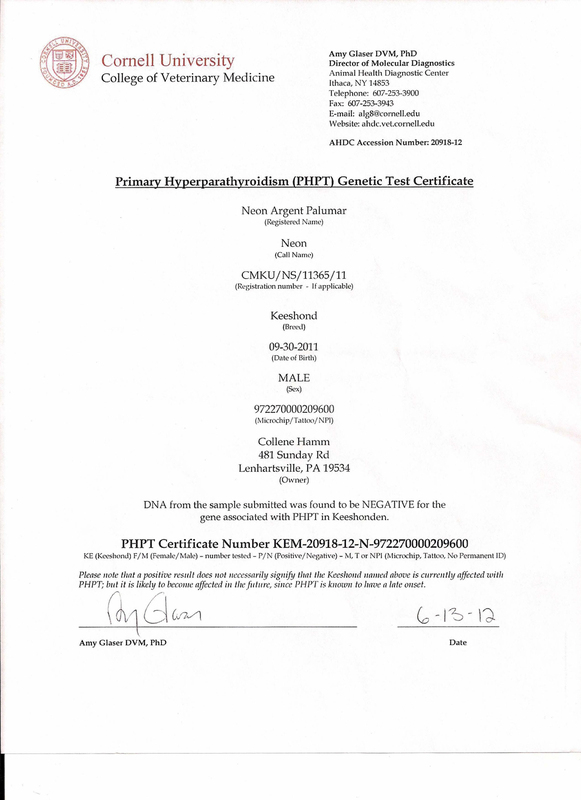 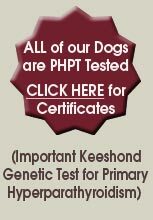 We genetically test all of our dogs to make sure that they do not pass it on to their offspring (Your future puppy!). 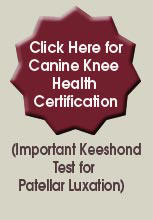 This condition often occurs later in the dogs life. 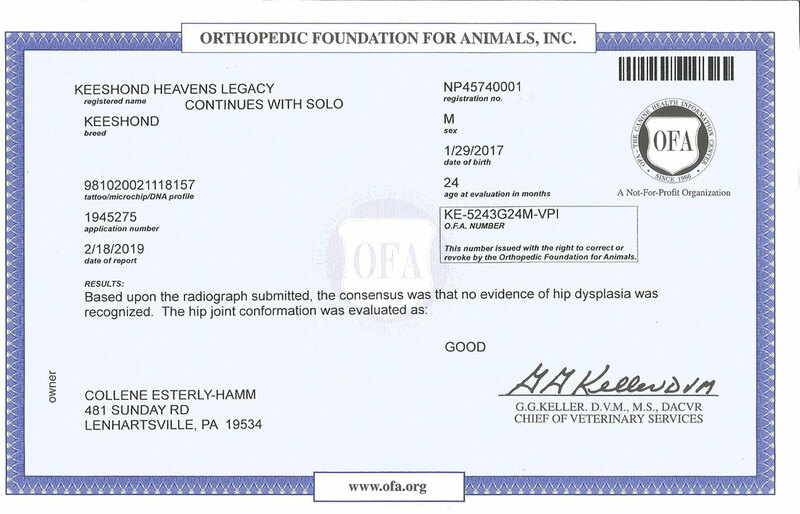 We feel that this is an important step to ensuring the health of your pet as best as we can for the life of your new friend. 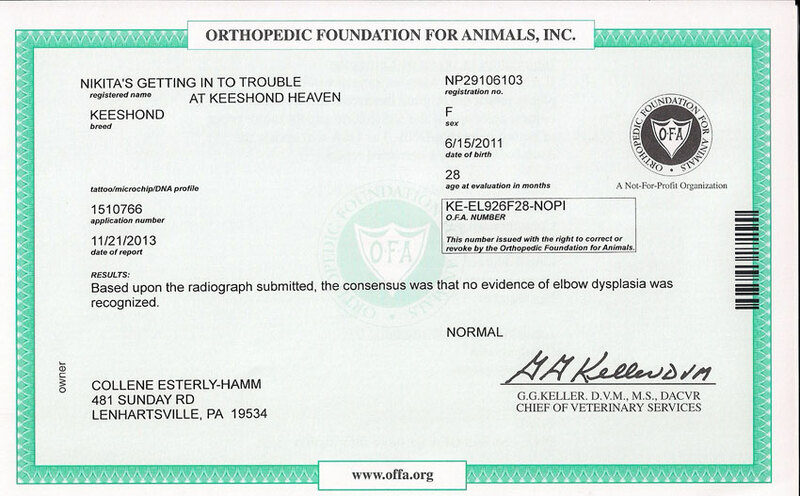 Dislocation of the knee-cap is a problems with certain breeds of dogs. 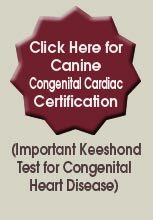 This is a hereditary problem and can be found in adult dogs. 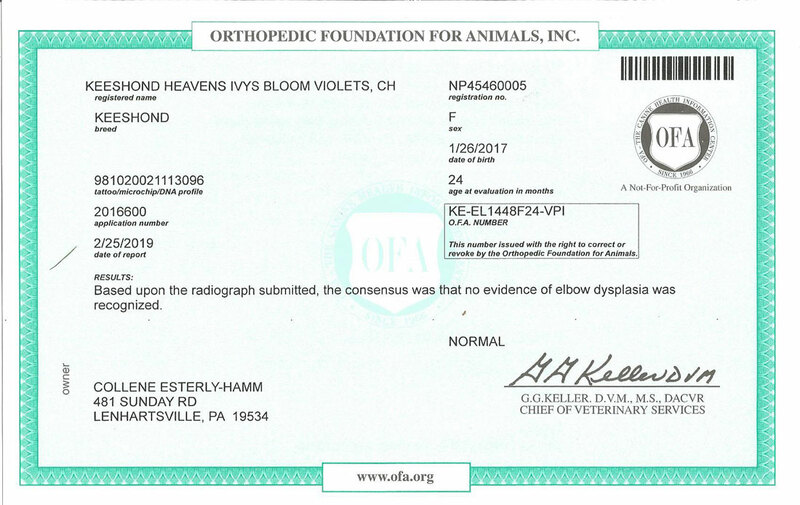 It is also unfortunate that most of the time the animal is older before it shows...which means it may have been bred or used at stud and therefore passed this problem on to yet another generation of Keeshounds! 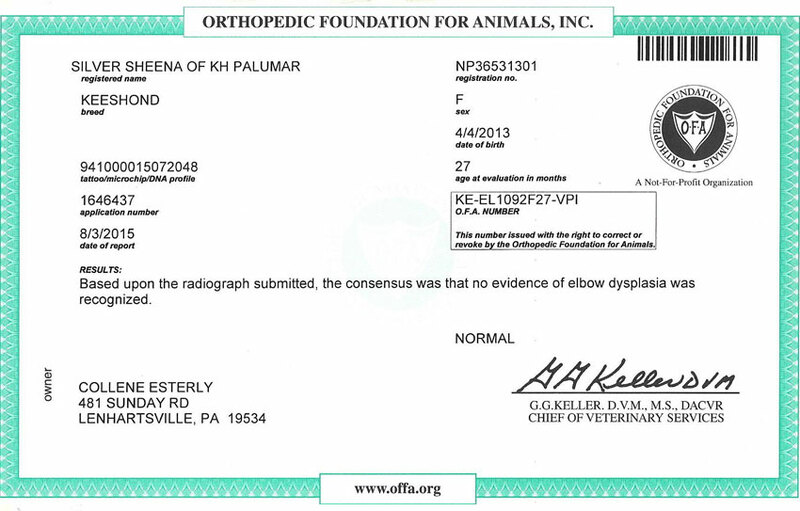 It appears in varying degrees from barely there to debilitating. 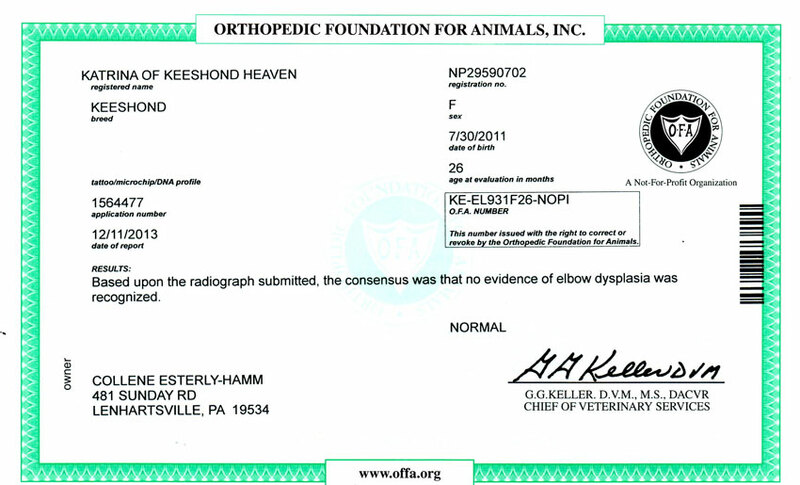 Very young dogs may compensate, but this cannot be counted on. 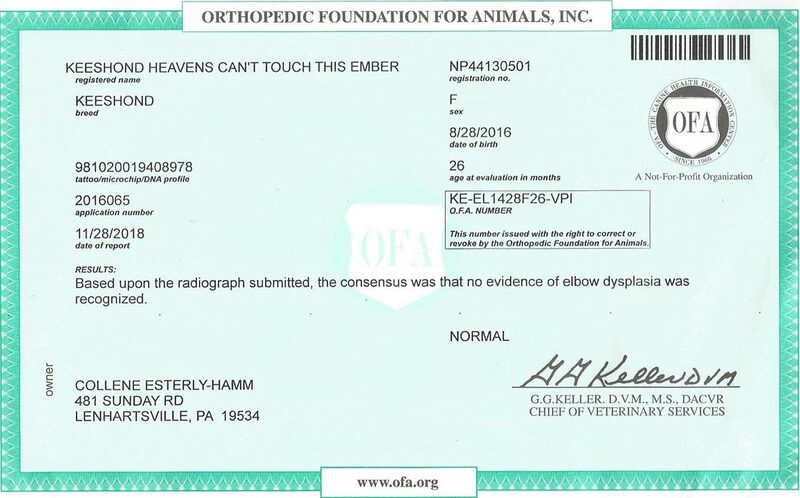 The dislocation is usually on the inner side and the ligaments become stretched every time it happens until the patella is rarely where it is suppose to be. 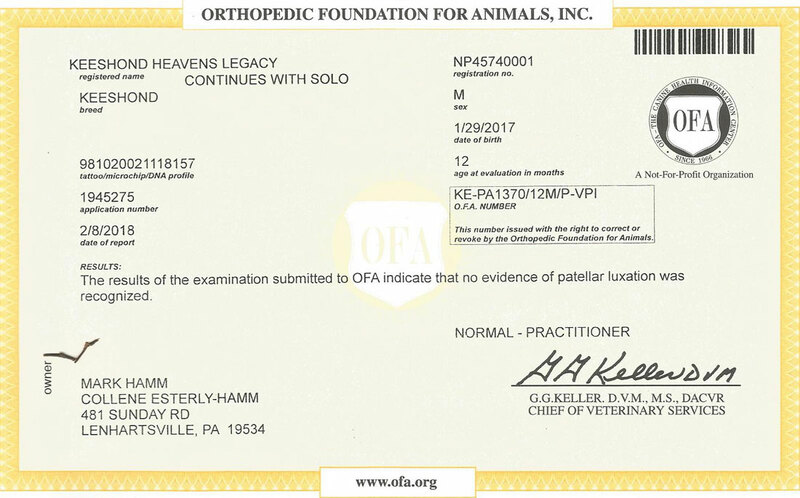 When the dog is standing with a dislocation of the patella, the hocks on the hind legs will be straight and if severe will cause extreme pain. 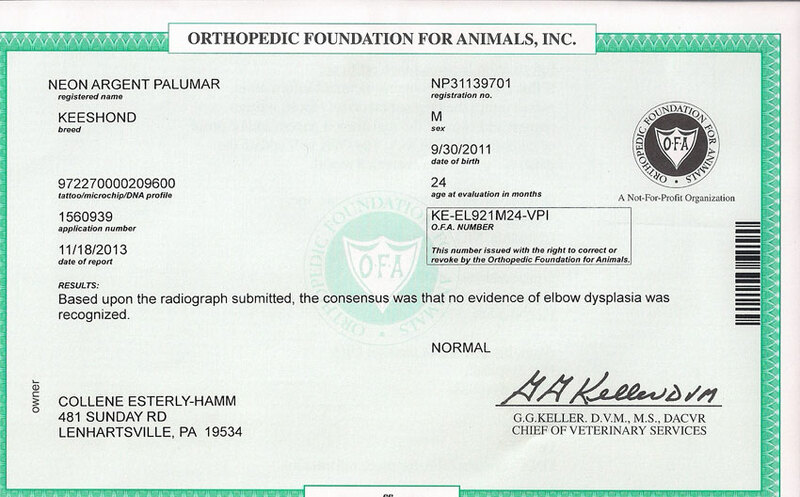 In these cases there is generally a need for surgery to repair the damage. 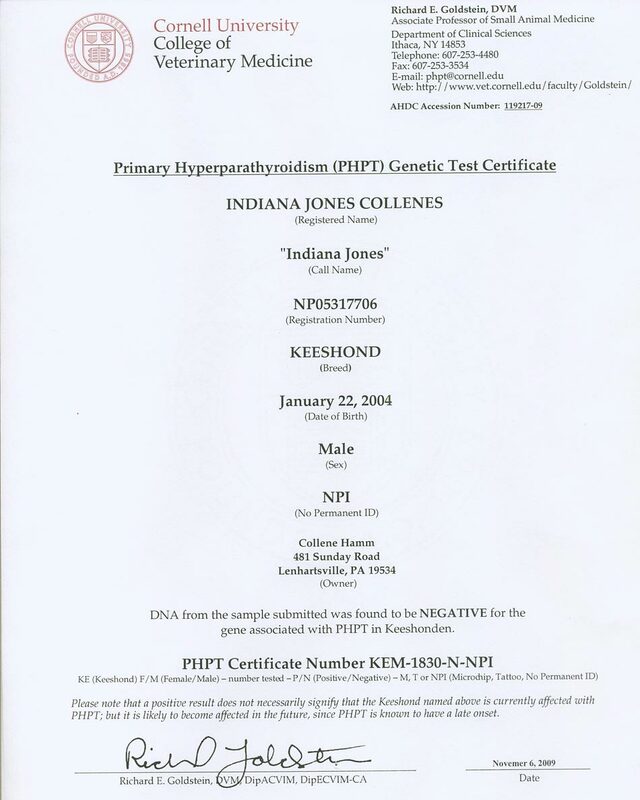 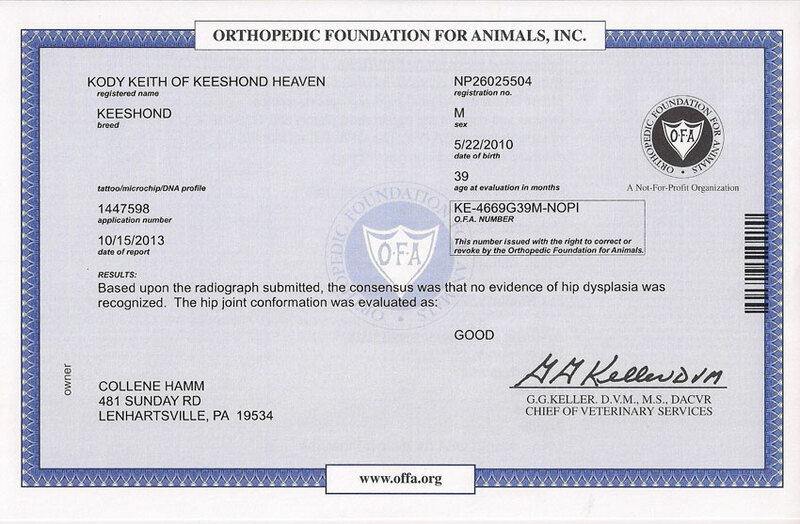 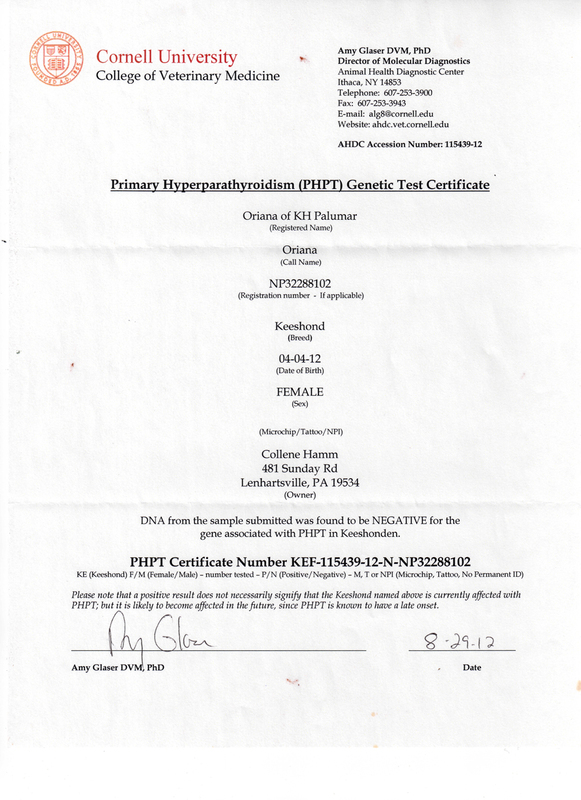 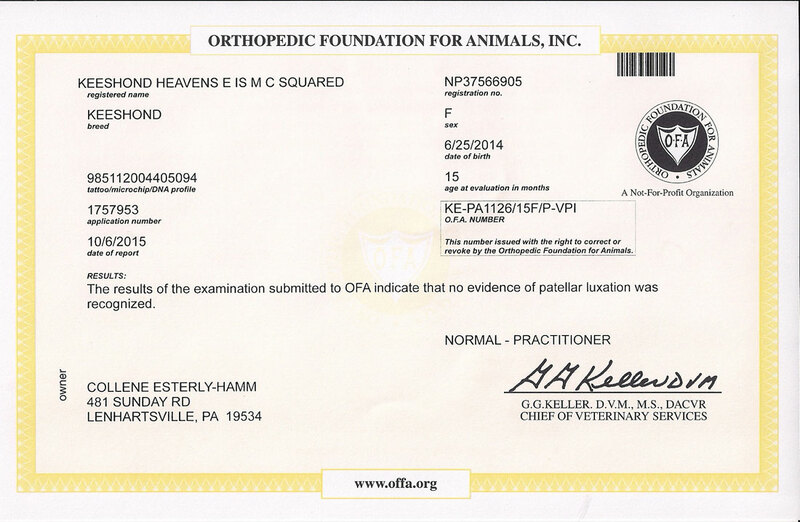 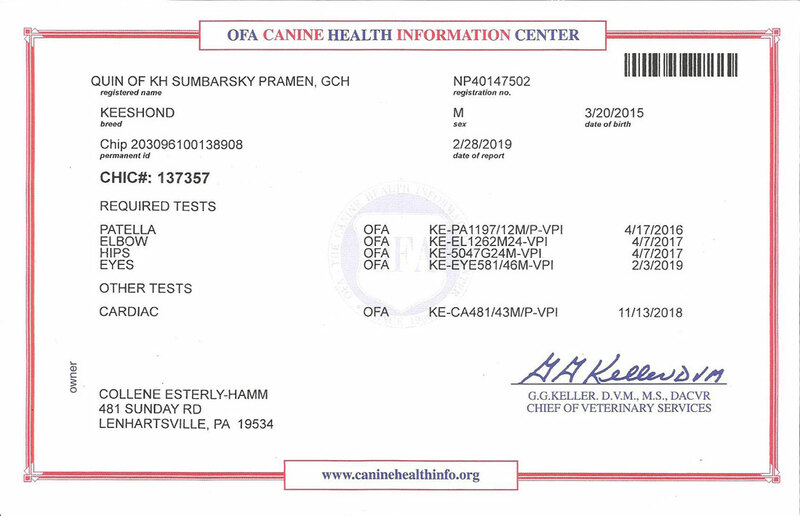 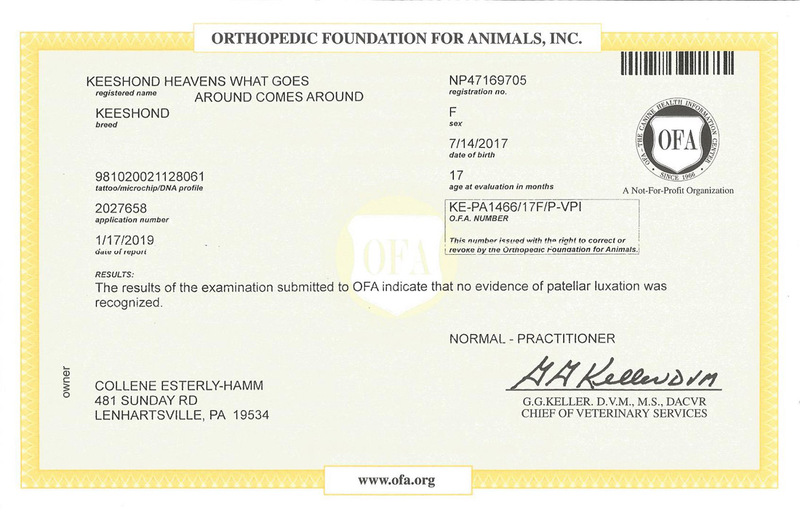 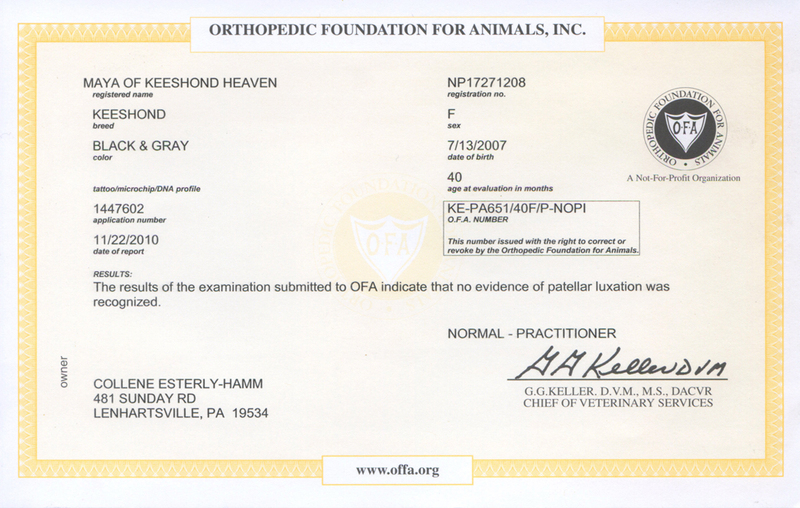 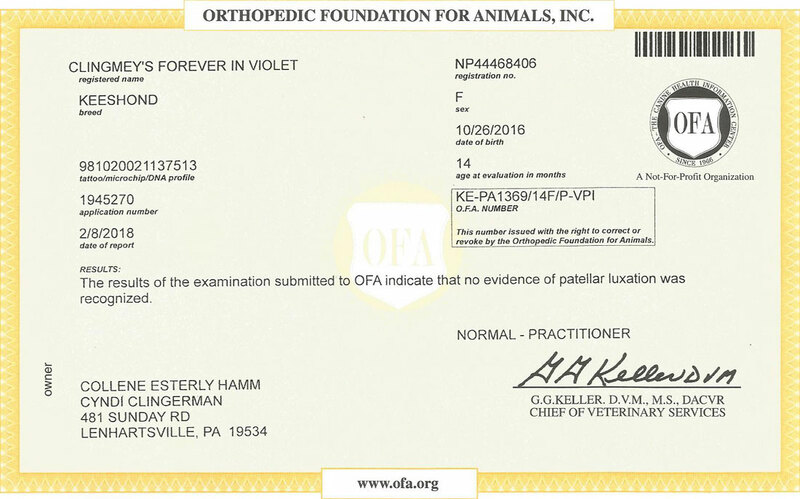 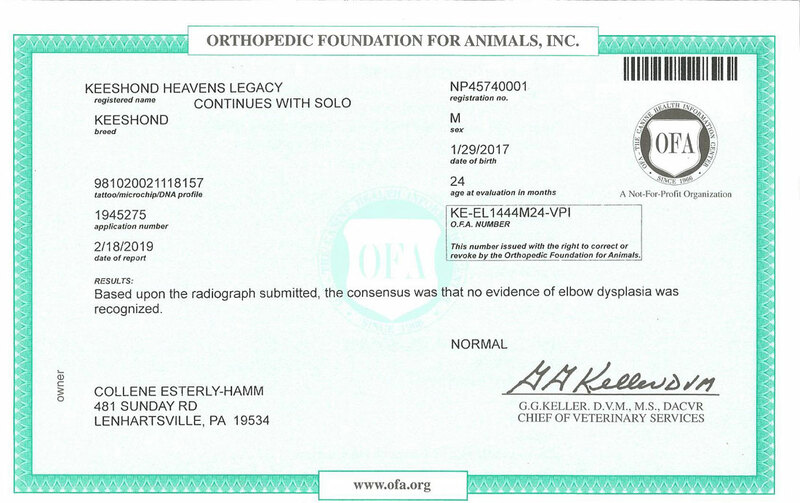 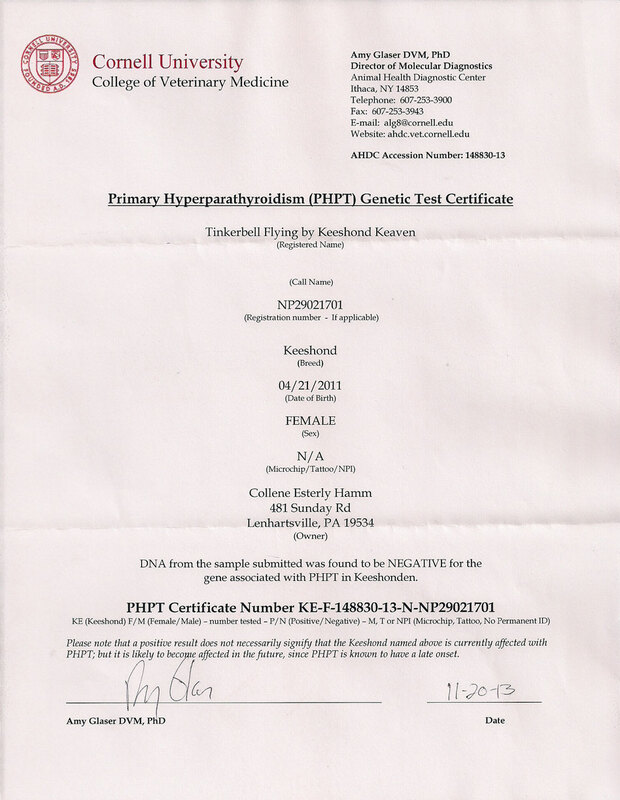 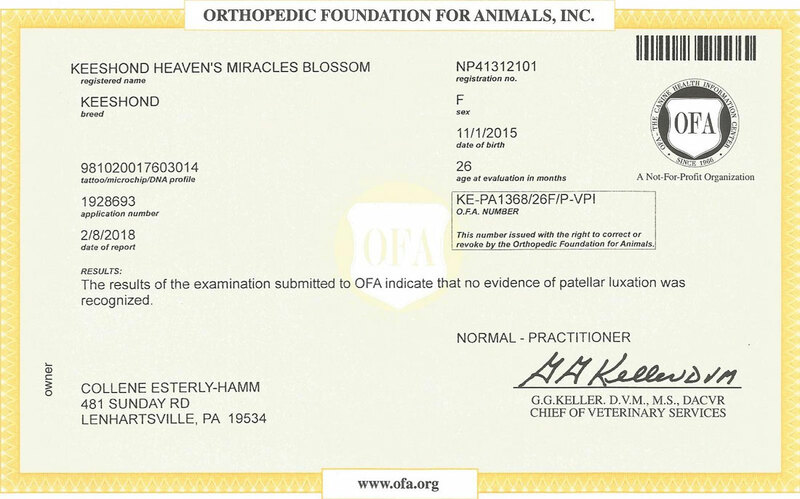 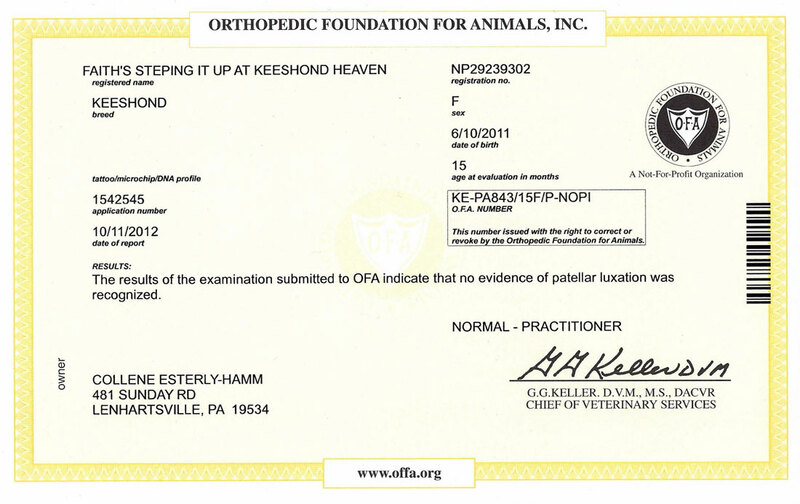 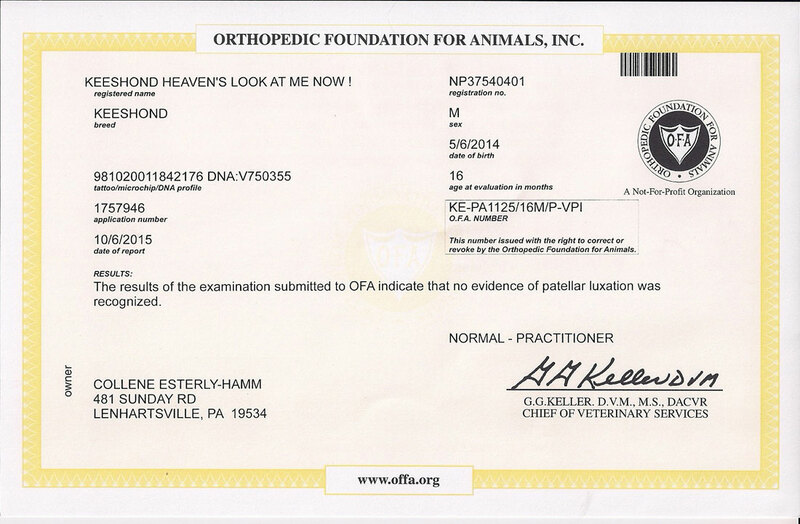 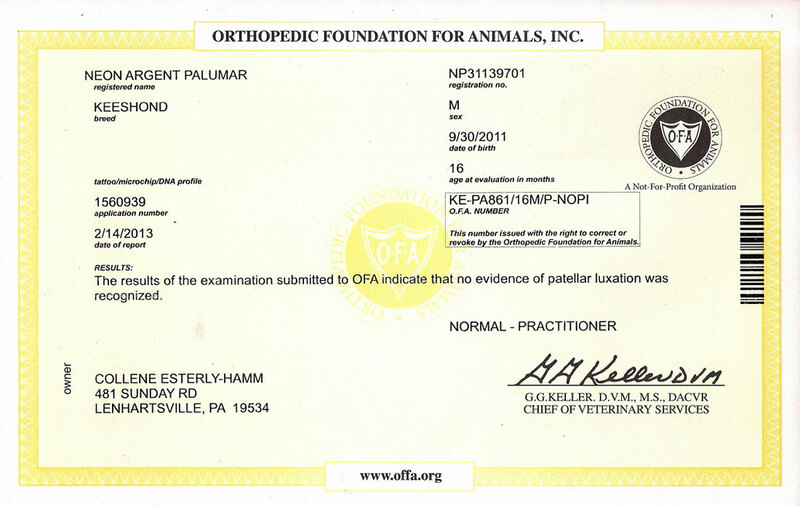 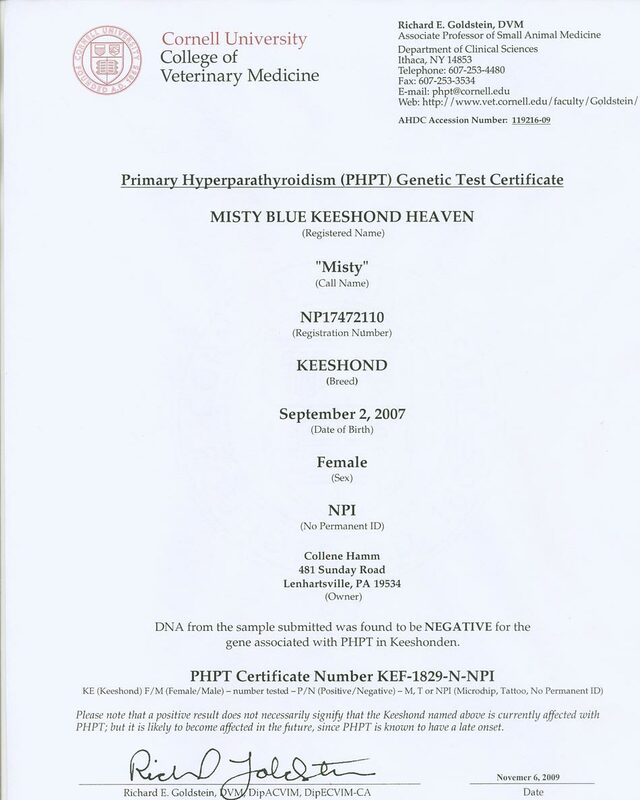 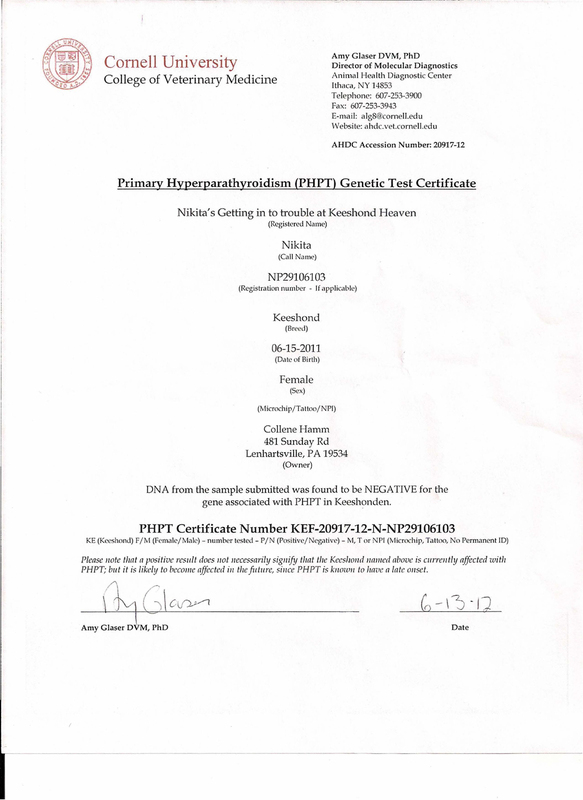 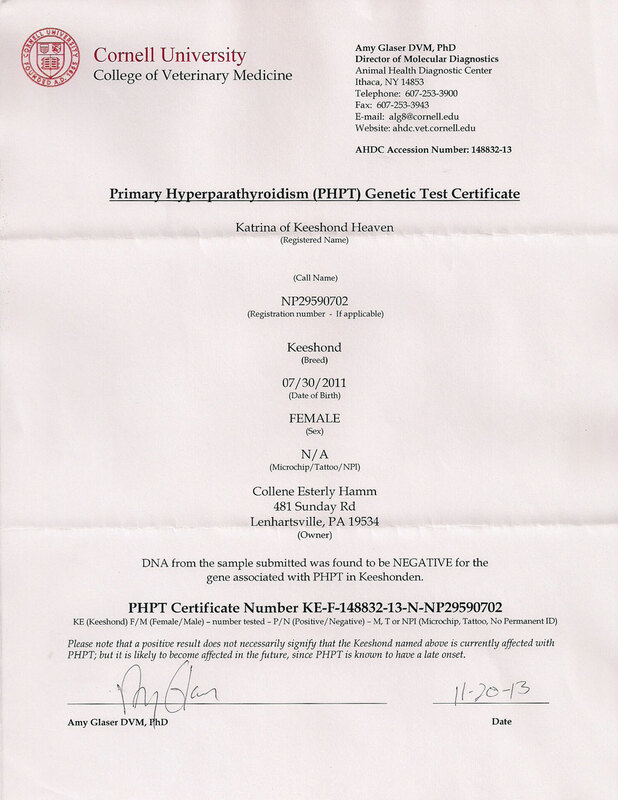 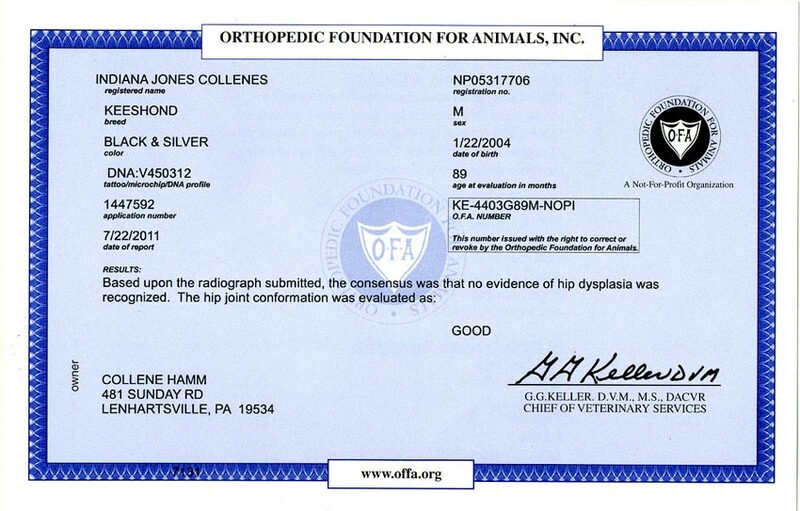 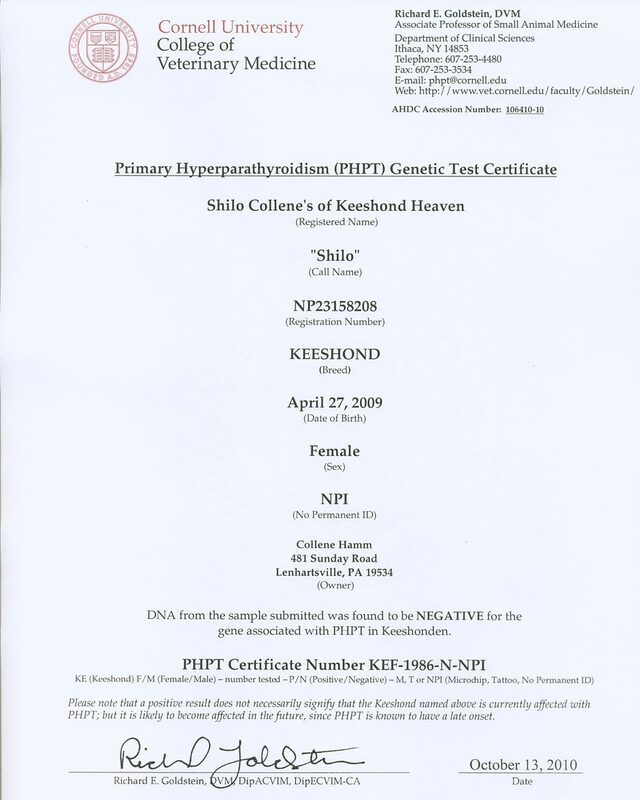 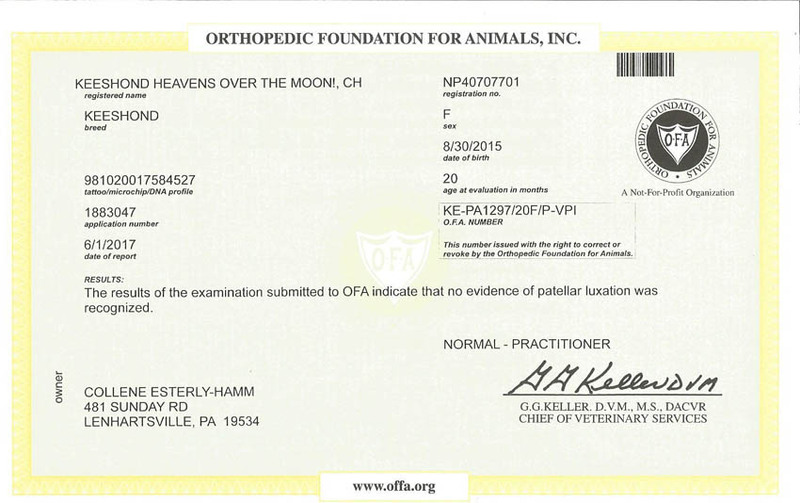 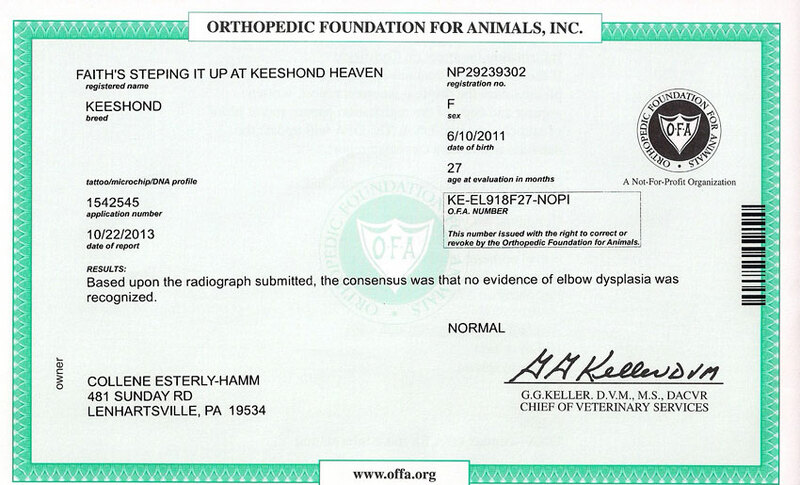 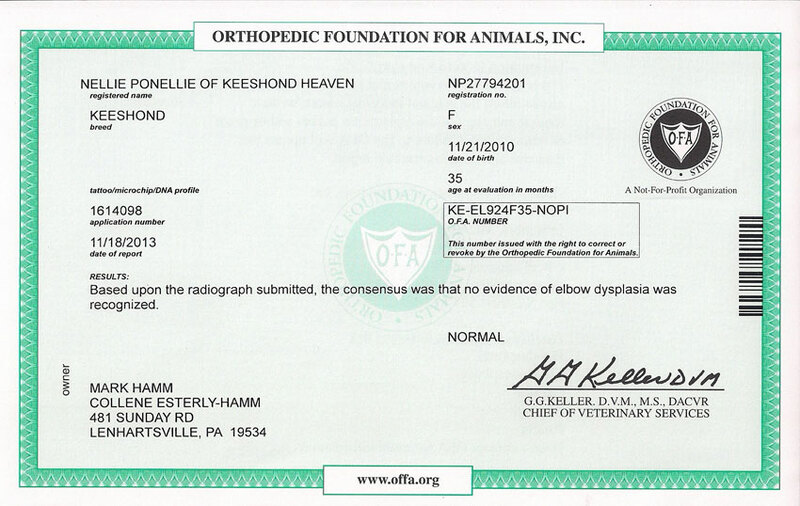 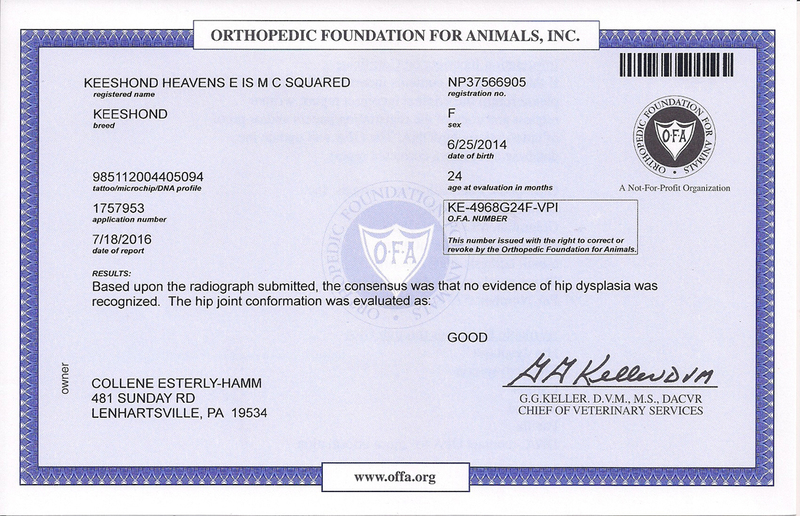 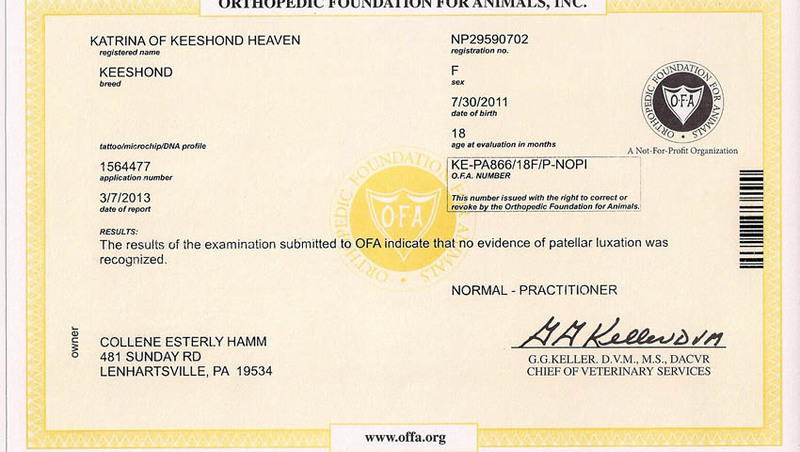 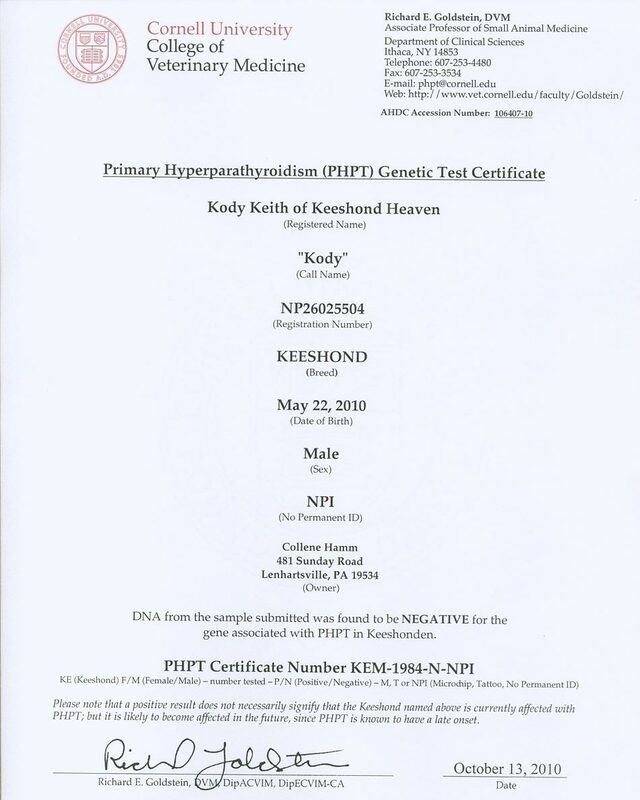 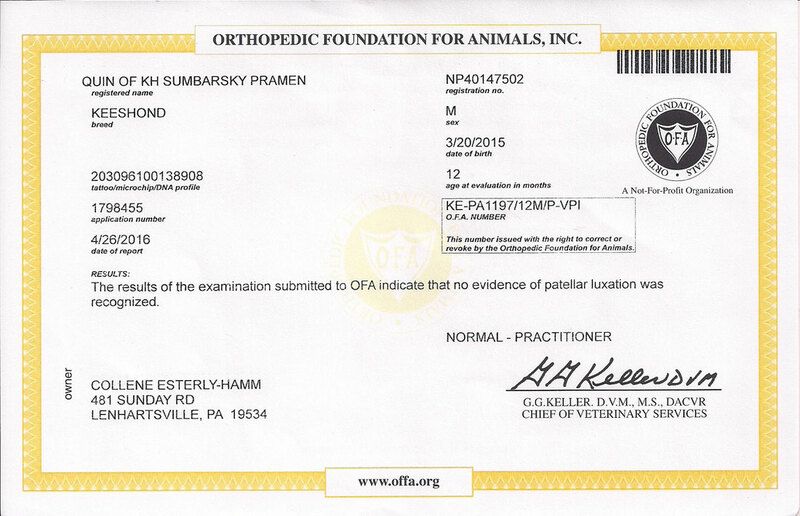 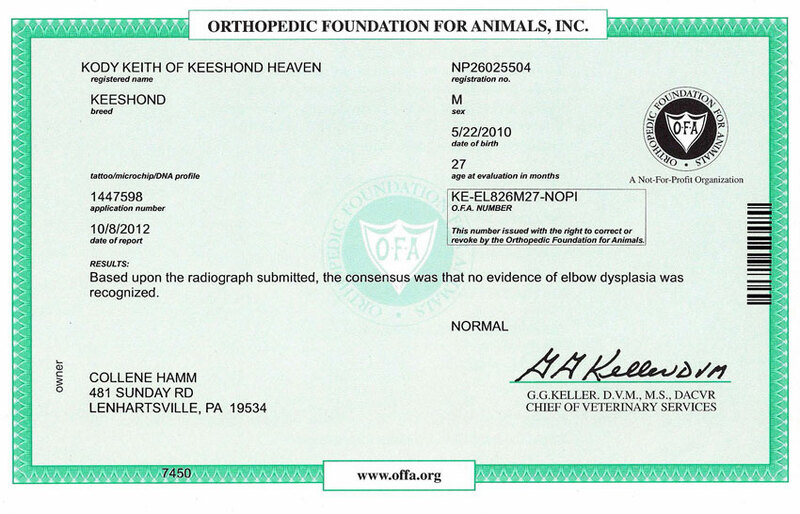 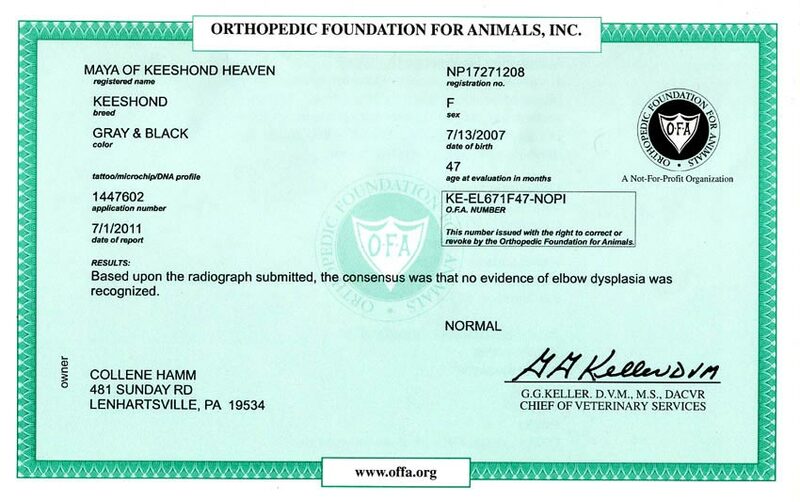 At Keeshound Heaven, we've tested all of our dogs for Luxation of the Patella and results have been negative. 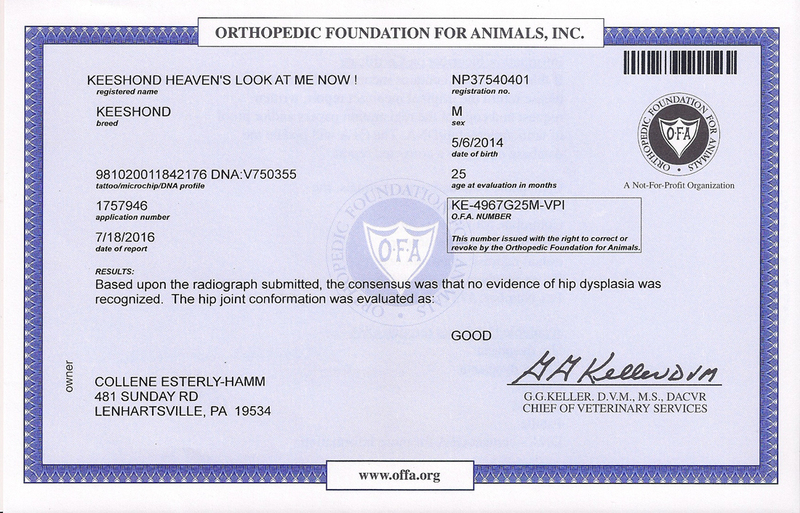 Click on the names of the dogs to view their certificates. 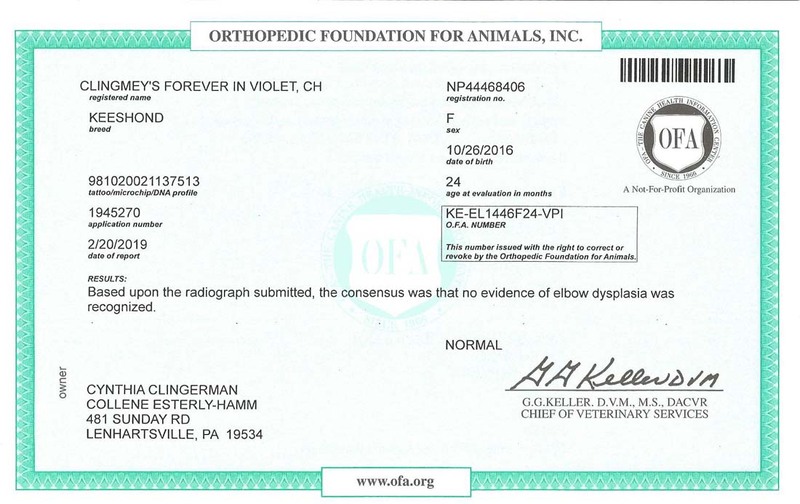 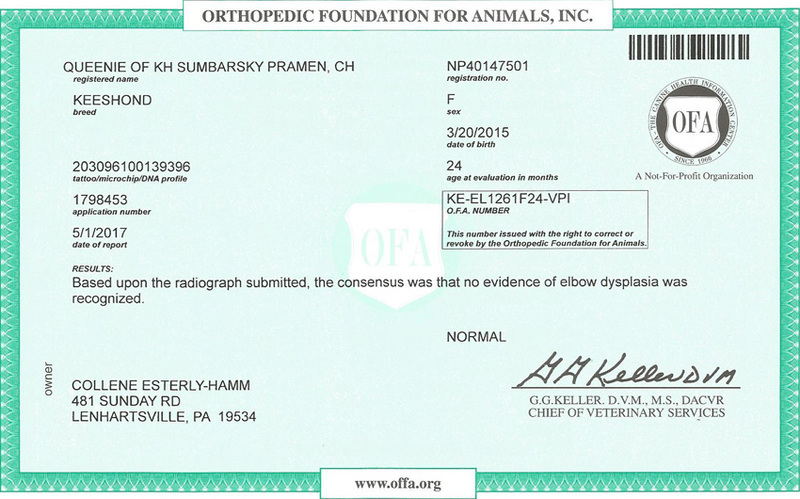 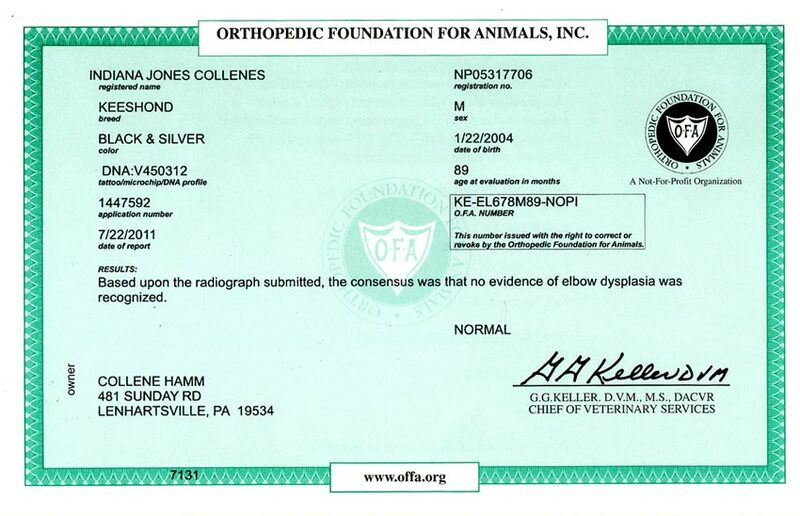 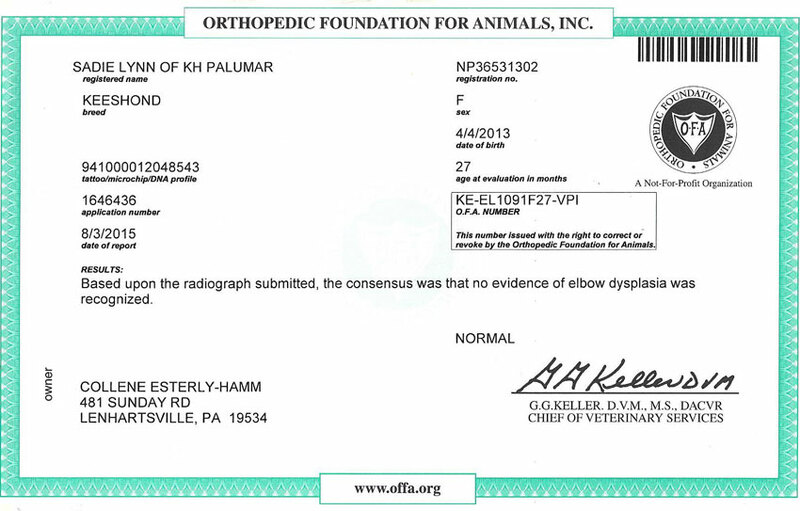 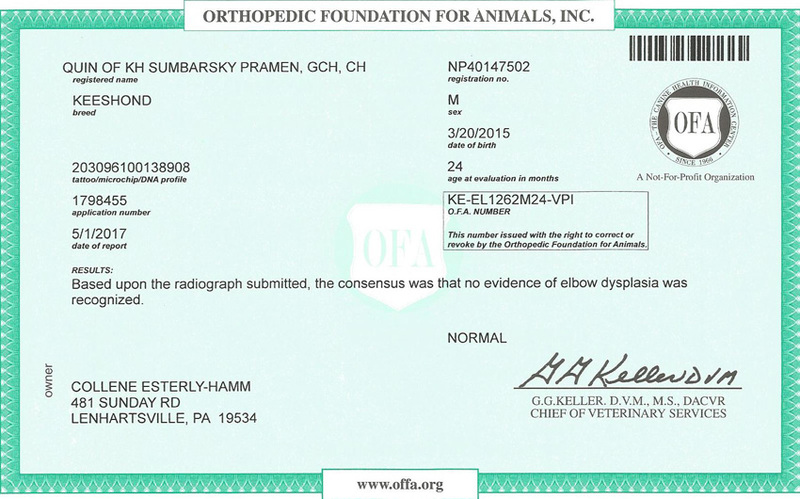 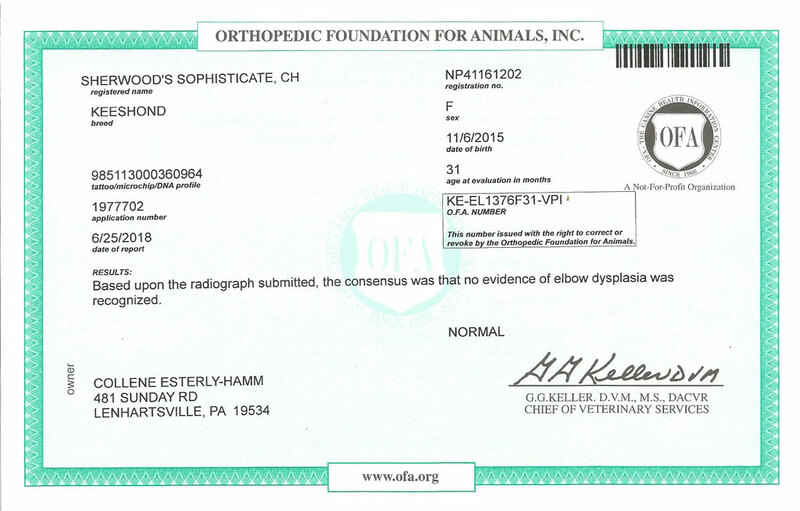 Elbow dysplasia is an inherited disease which primarily affects intermediate and large breed dogs. 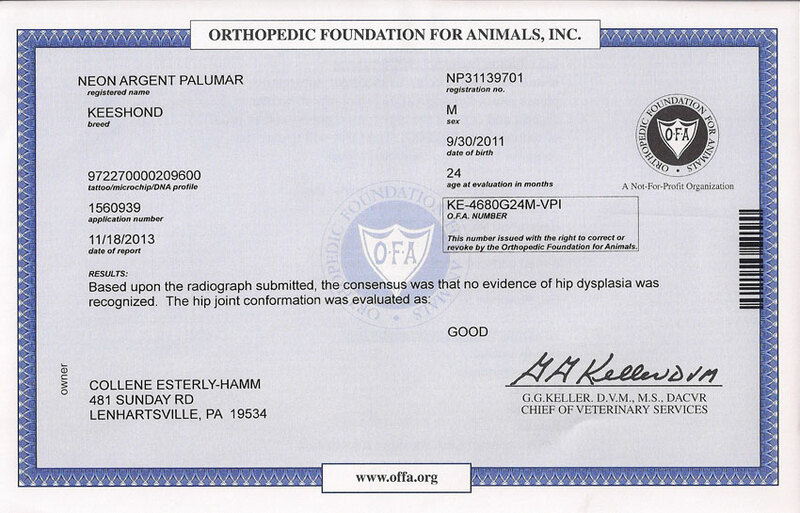 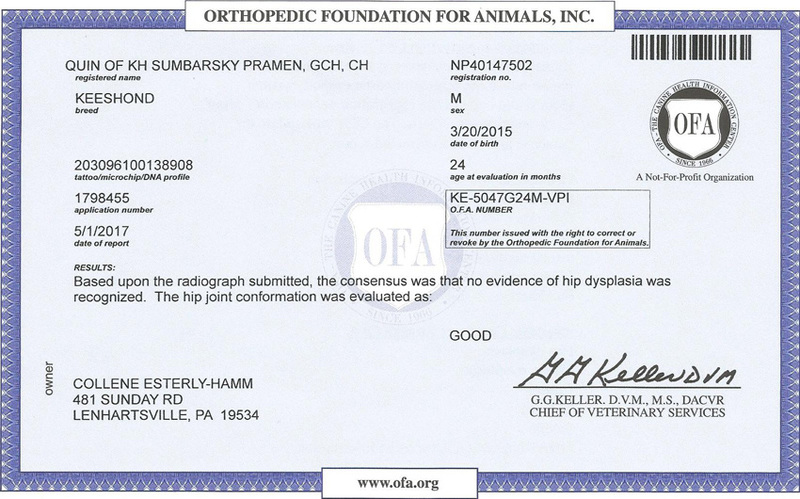 Hip dysplasia is one of the most common skeletal diseases seen in dogs. Gender does not seem to be a factor, but some breeds are more likely to have the genetic predisposition for hip dysplasia than other breeds.